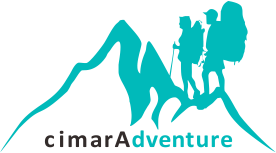 Cimara Adventure is a travel agent specialized in tourism around Indonesia. A travel agent that provides a comfort service to every customer when they want to travel in Indonesia. Besides, we also one of the travel agents that serves the customer’s needs in travelling, such as mount hiking, rafting, cave exploring, beach enjoying, and also diving in Indonesia. Therefore, our travel agent’s motto is From High Mountain to Deep Sea. From high mountain to deep sea, Cimara adventure is a Travel expert in techniques, safety, has been trusted by many to provide guiding services and a reliable companion for your adventures. Book immediately your own date, and feel the sensation during travelling in Indonesia with us that you will never forget it and you will come back again for sure. “Guide Cimara memahami betul medan Jalur pendakian waktu saya ke Raung kemarin tanggal 5-8 Mei 2016. Karena Cimara Adventure juga bagian dari Pataga Surabaya yang merintis jalur Kalibaru, Banyuwangi.